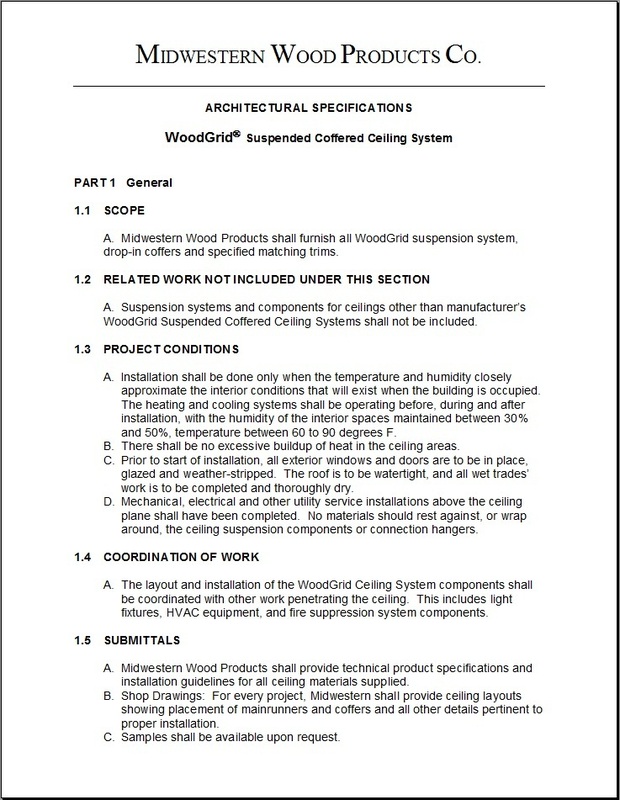 For Architects * WoodGrid® Coffered Ceilings by Midwestern Wood Products Co.
Click here to enlarge or print Architectural Specifications (below). 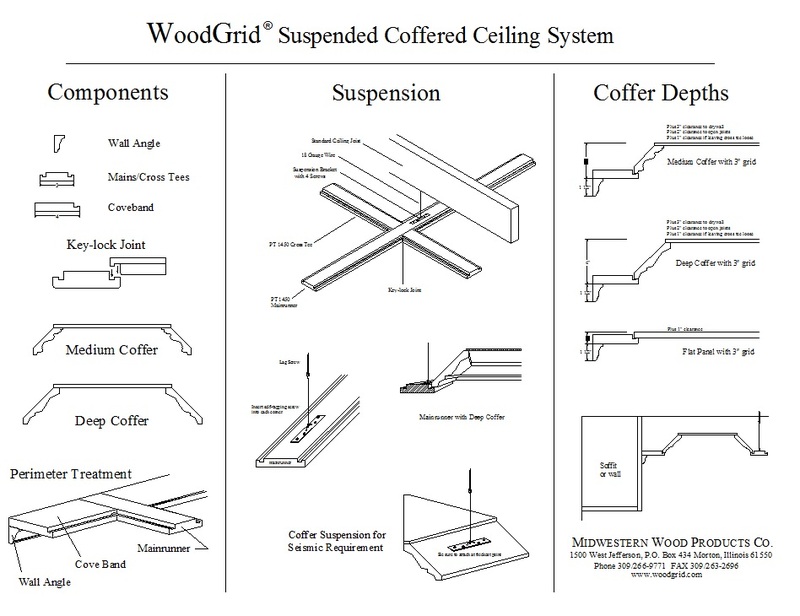 WoodGrid Ceiling components and suspension. 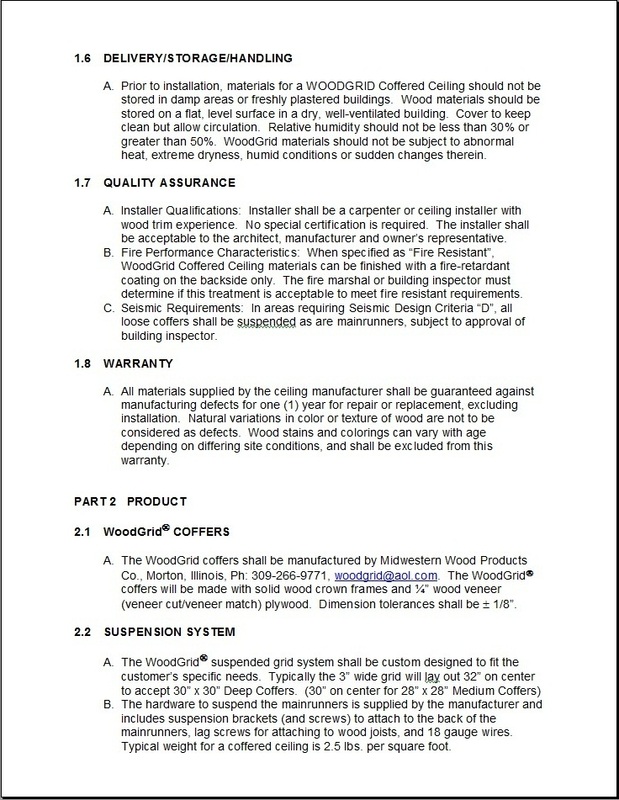 Please contact us at 309-266-9771, and we will email you the .dwg file shown below. 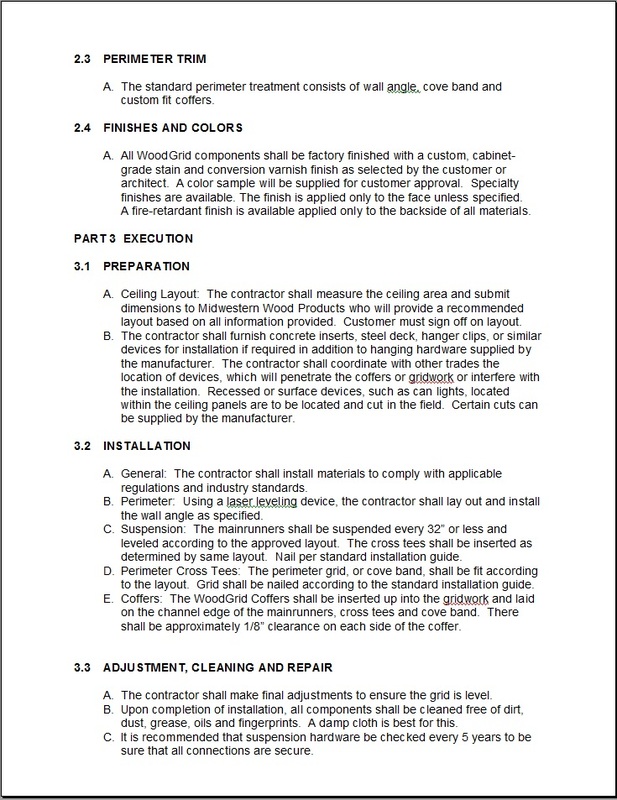 Click here to enlarge or print AutoCAD Drawings (below).